Favorite part of my job: Creating new cookie flavors and developing new products. Favorite part of my job: Developing partnerships that help put more cookies in more mouths. 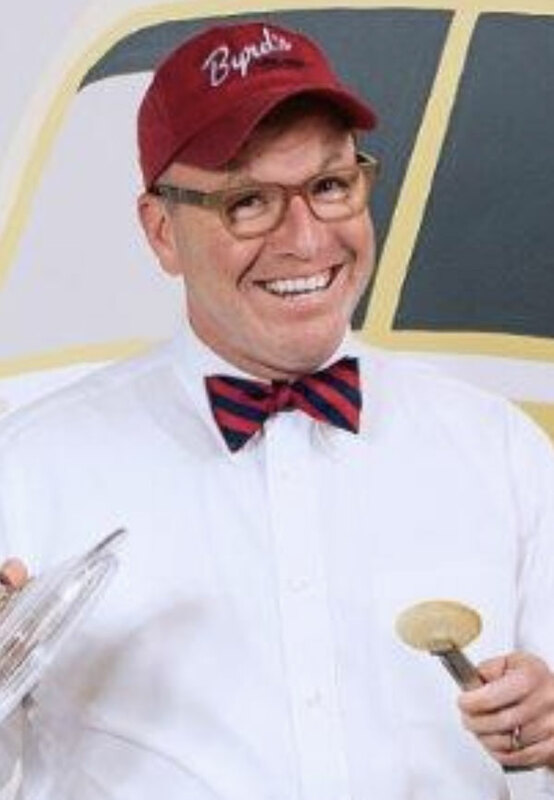 Geoff Repella is the President of Byrd Cookie Company, a multichannel merchant selling deliciously unique cookies to big retailers, airlines, amusement parks, hotels and gift shops around the world. Repella has been with the company since 2000 and has served on numerous boards including the Historic Savannah Foundation, Island Hospice, The Savannah Children’s Theatre and the Savannah Waterfront Association. He earned Bachelor of Arts degree in Economics and a Master’s in Business Administration from the University of Georgia. He splits his time between Savannah and New York, with his husband, Warren Bimblick, and his children Grace and Finn. Favorite part of my job: Maintaining the quality of Byrd products and making sure everything runs smoothly in the bakery. 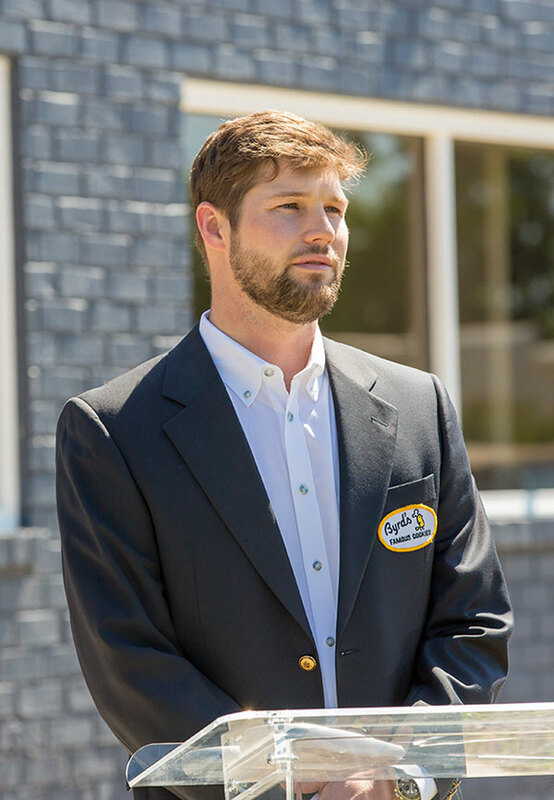 Jamie Lindley is the fifth generation of the Byrd family to assume a leadership role at Byrd Cookie Company in Savannah, Ga. since the company’s founding in 1924. In 2018, Jamie received the Savannah Morning News Generation Next Award, a prestigious honor given to individuals considered “rising stars” in the local business community. He is a proud graduate of the University of Georgia, where he earned a B.A. in Economics while serving as a kicker on the UGA football team. As the Director of Operations at Byrd Cookie Company, Jamie oversees the production, logistics and engineering departments, which include nearly 50 employees. He maintains quality control for all of Byrd’s retail, wholesale and large-volume contract orders and manages the production schedule for baked goods. He also ensures compliance with federal, state and third-party consumer advocacy group guidelines. Byrd Cookie Company was originally founded in Savannah, Georgia in 1924 when Benjamin Tillman “Pop” Byrd, Sr. opened a small bakery and traveled to local markets in his Model T Ford. The bakery quickly became a favorite among locals and was later identified as the “Cooky Shop,” as “Pop” Byrd was too kind to correct those who generously crafted the sign. When Benjamin Tillman “Cookie” Byrd, Jr. took over the company in 1949, he created separate bakery and retail spaces. With a desire to play the tour guide to locals wanting to learn more about the bakery, “Cookie” Byrd opened the Cookie Shanty. Inside the Cookie Shanty, he sold traditional cookies as well as unique products of his own creation, including the Benne Wafer, named after the cookie’s signature benne seeds. He began packing Byrd cookies inside sturdy metal tins, which allowed for products to be shipped across the country, expanding the company's reach far beyond Georgia. In 1988, “Cookie” Byrd’s daughter, Kay Curl, took the family business to even higher levels of success with exciting new flavors and beautiful tin designs, expanding Byrd's presence in the gift industry. Byrd's tart Key Lime Cooler was named the Dessert of the Year at the National Food Association's Fancy Food Show, marking the first time a cookie earned top dessert honors. Originally created as a birthday gift to Kay’s husband, Bennie Curl, who loves key lime pie, the Key Lime Cooler continues to be one of the company's best-selling items. In 2011, Stephanie Curl Lindley stepped in as the 4th generation owner, dramatically increasing revenue and investing millions to upgrade production equipment. 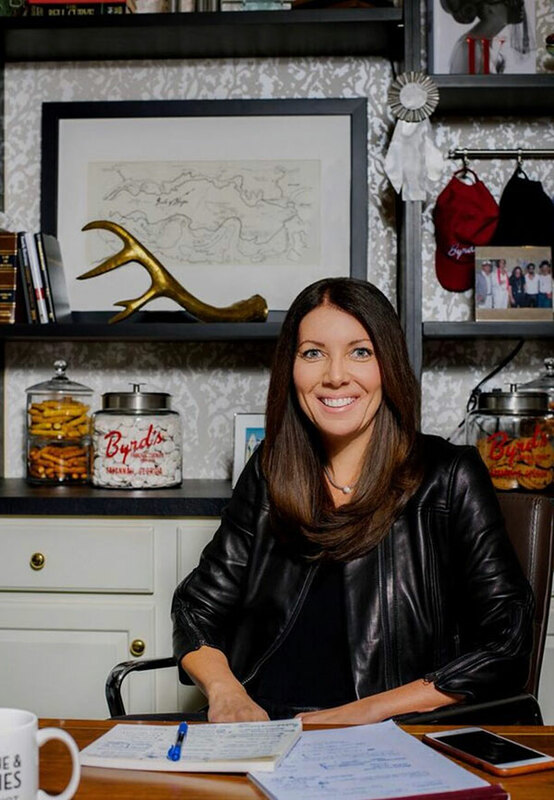 A savvy business leader, Stephanie Lindley has expanded Byrd's reach even further through strategic partnerships with major retailers including LL Bean, Bergdorf Goodman and Delta Airlines. In 2017, Byrd announced a $4 million expansion at its bakery in Savannah, adding 10,000 square feet of space, significantly increasing production capacity and creating more than 50 new jobs. Today, Byrd Cookie Company is one of the largest and fastest-growing independent cookie, snack and gift companies in the United States. Proudly headquartered in Savannah, this award-winning, family-owned company provides fresh-baked products to customers around the world. The company also creates private label items for companies including Neiman-Marcus, Ritz-Carlton and Cumberland Farms and operates successful retail stores in Georgia and South Carolina. Big Winner – Byrd’s Key Lime Coolers made history when they became the first cookie to win Dessert of the Year at the Specialty Food Association’s Fancy Food Show. Sky High – Byrd bakes cookies for United Airlines and Delta, providing passengers with tasty treats, like Maple Wafers and Almond Shortbread cookies. Old Faithful - Today, Byrd Cookie Company has 16 delicious flavors to choose from, with more being developed every year, but the original Byrd flavor will always be Scotch Oatmeal. More Cookies - In the summer of 2018, Byrd Cookie Company installed a new 170-foot oven that increased the company’s production to more than one billion cookies each year! Familiar Taste - Byrd Cookie Company has partnered with major retailers like LL Bean, Bergdorf Goodman, Neiman Marcus, Cumberland Farms, Ritz Carlton and many more to come. The sky’s the limit! Personal Touch - Every bakery bag is filled by hand with freshly baked cookies and weighed for accuracy.